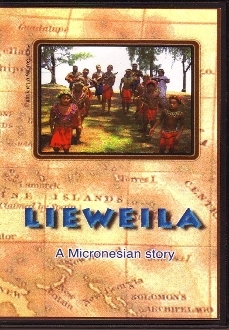 Lieweila is the first-person account of the history and culture of a small, culturally endangered group of Pacific Islanders. Cinta Kaipat of Saipan narrates the story of how in the 1800s her ancestors were forced to leave their earthquake- and flood-ravaged atolls in the Caroline Islands for the high islands of the Marianas. They sailed their outrigger canoes north, navigating by their knowledge of rising and setting stars and ocean swells. In the Marianas, they experienced a series of colonial regimes led by Spain, Germany, Japan, and the United States. “Lieweila” is their examination of their painful history and exploration of how to maintain traditional cultural practices, beliefs and values.